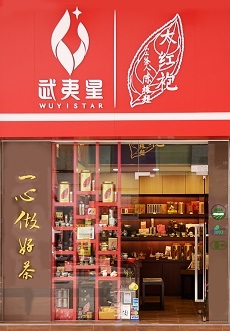 Founded in October 2001, Wuyistar Tea Industrial Company Limited has grown into a famous tea brand, originally from China. We have become the national key leading enterprise in agricultural industrialization, specializing in tea cultivation, production, sales and distribution, research and development, as well as tea culture promotion. Adhering to our brand’s finding spirit and commitment – producing the finest tea wholeheartedly – we are always devoted to offering our customers an extensive range of the world’s finest teas, including our signature collection of Fujian oolong teas, green teas, black teas, white teas and other scented teas; both online and in our stores and retailers around the world. Since the beginning, we have always focused on our founding spirit and commitment – producing the finest tea wholeheartedly – through our core values: sincerity, dedication, integrity and gratitude. We are constantly dedicated to ensuring that our product quality, safety and hygiene are always of the highest standards. Through a stringent quality management system, we track and trace product quality levels throughout the process at all times, from tea cultivation to its actual delivery. 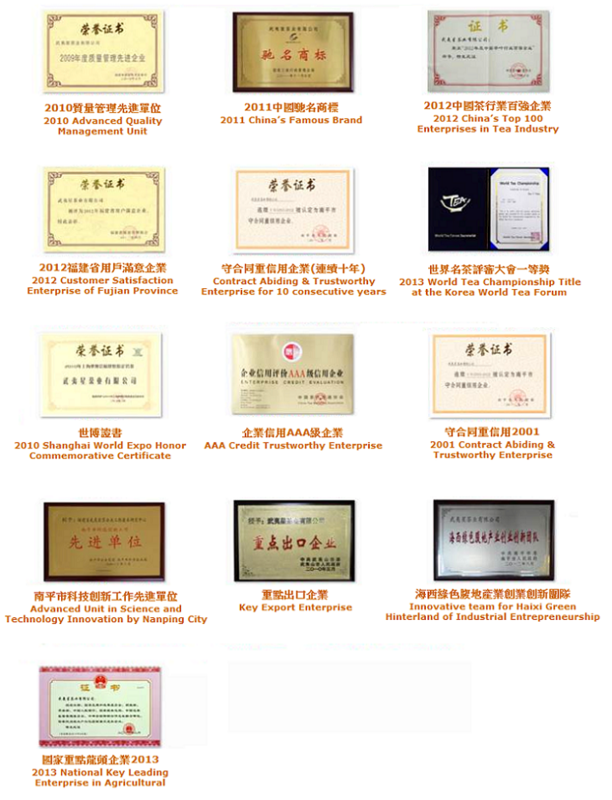 Moreover, we are proud to have earned certification of ISO9001, HACCP International Food Safety Programme, GAP by Ministry of Agriculture in China and others as shown below, plus organic certification worldwide, including China, European Union, Japan and United States. At Wuyistar, we have adopted and strictly follow our green philosophy in managing our tea plantations, especially maintaining the soil fertility while establishing an ecologically balanced environment. We take good care to ensure that no harmful, synthetic substances are added throughout our science-based plantation, managing and cultivation process. This in turn protects the surrounding ecological environment of our plantations in Jiu Long Valley, Jiu Long (Nine Dragon) Cave, Tin Yau of Wuyi Mountains, plus promotes long-term sustainability in tea production and development that is natural, organic and healthy. Through our efforts over the last ten years, we have also collected over 420 cultivated species of tea plants and quality tea plant resources in 2 locations, including the Imperial Tea Garden on Wuyi Mountain and our Qishan Plantation. We have now become the largest national enterprise with the biggest gene pools – an extensive range of nature’s finest teas. While we take sustainable management, quality assurance and product safety seriously, we also put special emphasis on product packaging that is environmental friendly. When we launched the Jin Jun Mei “Tian Xiang” product in the fall of 2013, we specially used soy-based ink for printing and recycled paper for the box packaging. As we continue to grow our business, we will continue explore innovative green solutions that create positive impact on the environment. Talent is always a key driver of our company’s success and competitiveness, so developing talent is a critical component of our business growth strategy. While strengthening our position and global market share, we are proud to continuously nurture talent within our business. Adopting a people-oriented approach, our team now consists of highly skilled and experienced professionals ranging from PhD or Master’s degree holders in Research and Development Team, Experienced Plant Protection Specialists, Skilled Tea Masters, Skilled Tea Plantation Workers and Professional Sales Team. 2005 – Awarded the “Best Selling Quality Assured Tea Brand” by the Three Green Project of the State Council of People’s Republic of China. 2006 – Among the first brands in Fujian Province selected and accredited for “China Famous Brand of Agriculture”. 2010 – Awarded the “Top Ten Leading Enterprise in Agricultural Industrialization”. 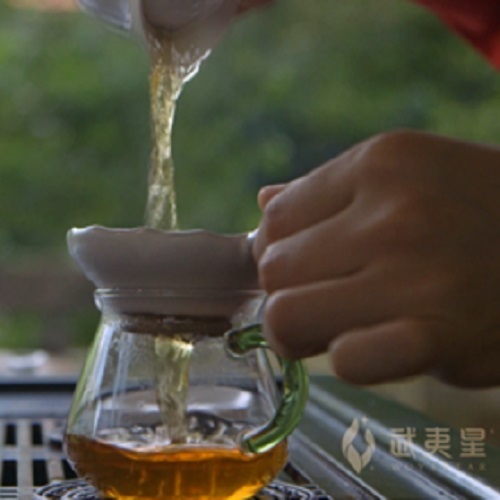 2010 – Selected as the Wuyi Rock Tea for the Fujian Pavilion at the Shanghai World Expo 2010. 2011 – Recognized as the “China’s Famous Brand” by the State Administration for Industry & Commerce (SAIC) of the People’s Republic of China. 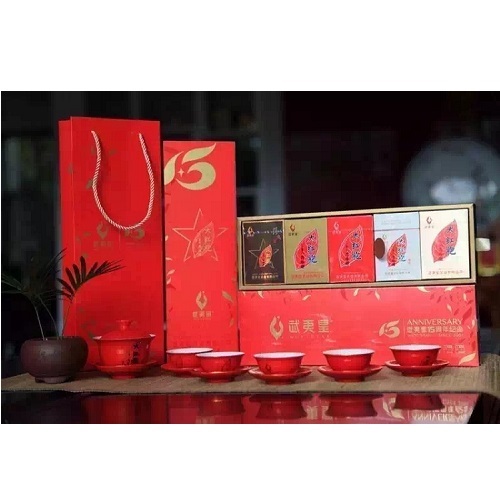 2013 – Became the exclusive tea gifts for the conference meeting of the Shanghai Cooperation Organization (SCO) Member States in November. 2013 – Earned the World Tea Championship Title for Wuyistar Da Hong Pao Tea at the Korea World Tea Forum in November. 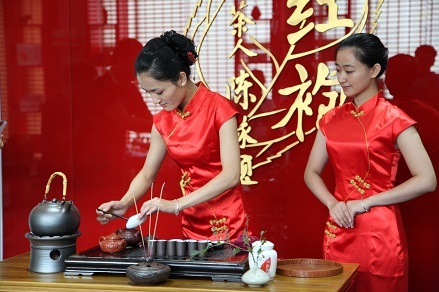 2014 – Launched Wuyistar International Tea Tasting Tour entitled “Loving Da Hong Pao from the Star” with over 300 tastings sought by many tea lovers around the world throughout the year. 2014 – Gained attention again in Korea as we became the sought-after brand by many famous people who drink tea during the promotion session in November. Today we continue to evolve and grow to better serve our customers globally, but our spirit and commitment – producing the finest tea wholeheartedly – has never changed. Moreover, we never compromise our core values – sincerity, dedication, integrity and gratitude – which guide us to continuously provide our customers with the perfect cup of tea that is safe, quality-assured and healthy. 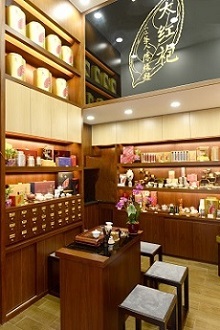 Our first specialty shops of Wuyi Rock Tea have been opened in Hong Kong! Apart from offering quality teas, the Wuyistar Teahouse hopes to introduce our brand spirit and core values to customers of Hong Kong. We wish that whenever people mention about tea, they would think of Wuyistar, who is always committed to – producing the finest tea wholeheartedly. 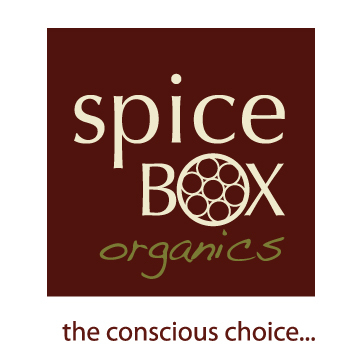 “Our founding spirit – producing the finest tea – is not only about providing the best quality tea. 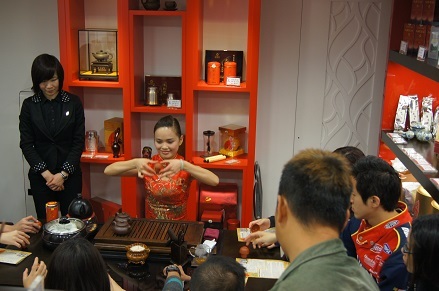 It is also about promoting and spreading the etiquette, harmonious mind, and considerate attitude of the Chinese tea culture. 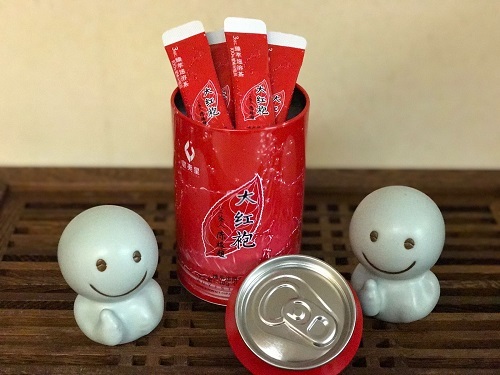 Not only can people enjoy the perfect cup of tea, they can also learn to achieve inner piece, tranquility and harmony," says Ms. Tracy Ho, the person-in-charge of Wuyistar Teahouse and the Managing Director of Bright Ease International Limited, the distributor of Wuyistar Tea products in Hong Kong. All the Wuyi rock teas from Wuyistar are produced under stringent quality control systems. Throughout the production process, we always ensure that no tea leaves touch the ground to maintain the highest level of hygiene. Furthermore, the rock teas are all organic and the quality is guaranteed by various international organic certifications. We at Wuyistar Tea Industrial Company Limited are honored to be the exclusive management unit of the Da Hong Pao mother trees and the owner the Jiu Long Cave tea garden nearby the original trees. 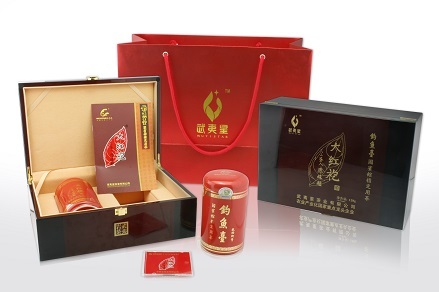 "All of our products are truly authentic and can be identified by the Da Hong Pao place of origin laser labeling issued by the Fujian Provincial People’s Government. 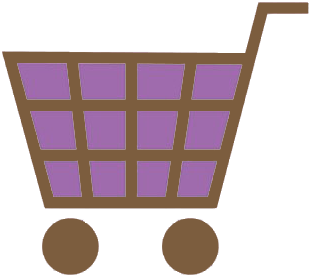 Our exceptional quality is also demonstrated in our numerous achievements and milestones. For example, in 2006, we took the privilege of arranging the last harvest of the Da Hung Pao original trees with the tea leaves now preserved in the National Museum, plus became the designated Da Hung Pao tea for Diaoyutai State Guesthouse,” Tracy said. 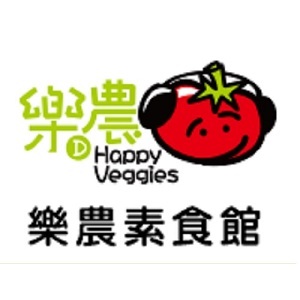 We are happy that our tea is available at Happy Veggies, Hong Kong’s first non-profit social enterprise vegetarian restaurant. It is organized by the Hong Kong Movie Star Sports Association Charities Limited under the funding support of the Enhancing Self-Reliance Through District Partnership Programme of the Home Affairs Department. The restaurant offers characteristic vegetarian food that promotes a healthy and environmental friendly dining culture, as well as gives employment to the hearing impaired so that they can become self-reliant through on job training. All in all, a great restaurant with good tea, good food and a good cause! 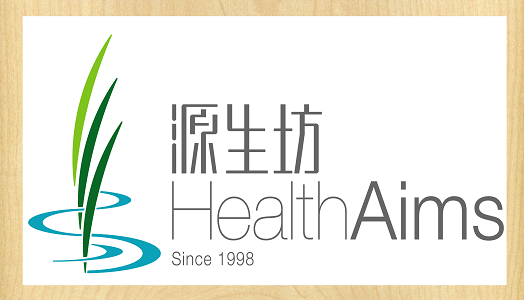 We are pleased to have our teas available at Health Aims, one of the top organic functional food specialty shops in Hong Kong with multiple locations.